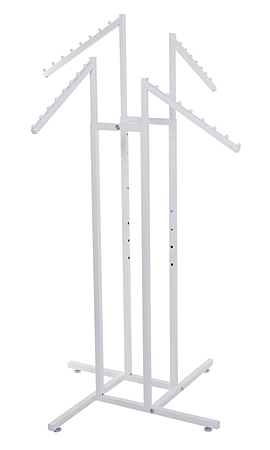 It's easy to attract customers to your clothes with this White 4-Way Clothing Rack with Slant Arms. This garment rack features four adjustable arms with easy push buttons that can adjust the height of your rack from 48"H to 72"H in 3" increments. Each extends 18" and allows you to keep clothing organized and accessible. 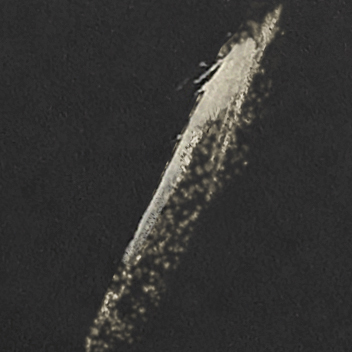 The white finish is classic and chic, complementing any type of clothing.